After going through recent updates from a friend’s activity, it compelled me to think and write this article. Most of my buddies, even you? I came across many complaints about unwanted emails from Native Business Holders to increase their traffic with attractive email Newsletters, with relevance to user id and name. Which entices receiver to click on the provided link, however, that was not any malicious attack but it could harm the user if they are not cautious. According to the Law ‘The Privacy and Electronic Communications’ (EC Directive) (Amendment) Regulations 2011, sending of emails to individuals if you have agreed to receive them, except where there is a clearly defined customer relationship. It is the full text description of the actual Act in .pdf format. It is about Details and links for the new rules and clarifications announced in May 2008 governing unsubscribe mechanisms, definitions of “the sender,” and other aspects of the original legislation. 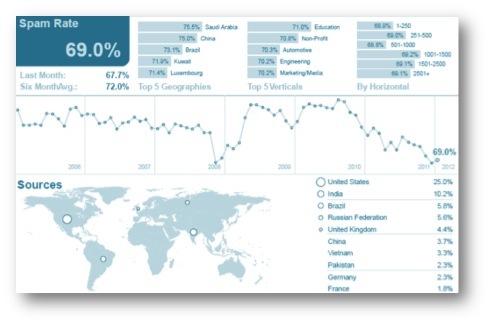 Detailed information on permission and spam issues for newcomers looking to send out their first marketing emails.. Explains why complying with anti-spam laws does not make your email legitimate in the eyes of recipients. Takes the arguments in favor of opt-out email and explains why they are wrong. The comments on this blog post provide an excellent overview of whether you should put a line of text in your emails reminding people of where and when they signed up for them More or less according to law but at least one of these above specifying above rules. In Most of cases such mails are considered meant for heavy email bombing for scams and other types of malicious attacks purpose. Symantec Intelligence identified a new tactic in spam emails that included URLs that related to more than 10,000 unique domain names. Each of these domains had earlier been compromised and the URLs pointed to PHP-based scripts hosted on the compromised websites. The report also predicts ongoing use by spammers of upcoming calendar holiday events, so you should exercise caution before opening an email from a secret admirer! Spammers and malware authors will likely exploit this day and the online activity around it by luring users to click on malware links posing other scams. Spoofing legitimate websites like e-greeting and all app providing is a frequently used technique for distributing email-borne malware. Malware authors now also appear to be more strategic with their email distribution lists. IP addresses are more likely to appear on anti-spam block-lists if they are associated with a high number of invalid recipient emails. However, in January, the number of spam emails that were reported as spam-related non-delivery reports (NDRs), was consistently stable and low – which suggests that attackers could be taking a more careful, targeted approach to finding their victims, such as exploiting social media to enhance their social engineering tactics. Do not put your email address in public. Check and read privacy policies and marketing options carefully who sends you emails? Do not click on the adverts in spam emails. 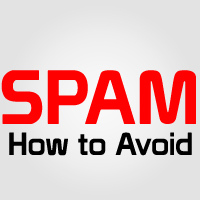 By clicking on spammers’ web pages, it shows your email address is live and may make you a target for more emails. It can also reveal your computer’s IP address. Use a spam email filter on your computer. These are programs, which work with your email package to sift through new emails, separating spam emails from personal useful emails and blocking them. Keep your systems well maintained. Hackers and spammers can exploit software problems, so most software companies issue product updates and patches that fix known problems. Avoid responding to spam emails. You should not reply to emails unless you know and trust the sender. Updates are generally available through manufacturers’ websites and are usually free to download and install. You should also consider using anti-virus software to protect you against virus programs. P.S. Article was written with strong intuition to create awareness among masses not pointing personally over an individual Firm or Company or Organization. This can be taken under consideration for any unethical spam-spreading firm or organizations. Anyways neither he have the evidence nor do you about what i used to do … ! It was just a fun filled article where he called me a hacker or a scammer.. !! I appreciate the change & professionalism. But the issue is that now when I see the entire concept & promotion of UB, the only things that highlights is that it has started by youth for some fun without social responsiblity. Initially i think they do have responsibility by taking up some good causes like this article & many other. But what i really feel is the “manner in which you are doing it is not a win-win situation”. From the comments of your team, to the headlines of your articles, to the way you make people(valentine)/company(pvr) soft targets it is more like leg pulling with the so called blog-power. The overall feel for the guy like you comes that “badnam karenge to naam hoga”. But clearing one point that its not something i would called Soft Point. UdaipurBlog was a medium for me to connect to the People of Udaipur, have their views and to bring a change. Its not about me that i highlight and get my name. ! -> In this case that ‘private company’ was not able to understand it. Neither they were interested to discontinue such acts. Is there a difference between Scam and Spam ? nice article ms. chetna, even i m receiving emails from some native financial company which ought to irritate me a lot. they are really spammers for me now, they are forcing me to read with no option to unsubscribe or deny, i m busy with my job so i usually ignore but i m still surprised how did they got my email id which i never use in public. i will email them this article to let them know that they are spamming and they should stop it…. You know there are blogs in udaipur who share the information of we guys. I think they are the bigger spammers than the company who send the mail, by first getting our email id in comment sections of blogs & then share/sell the information for their own benefit. Interestingly i myself have come across the same with UB where admin is using my personal identity for his own use. Kindly guide what as a commentator we should do against the social blog if even after mentioning that our personal details will not be published, they use it for their own profit. Navdeep Acharya : Plz go ahead with your idea i’m indeed want this only. Make ’em cognizant. I’m ready to write on this.